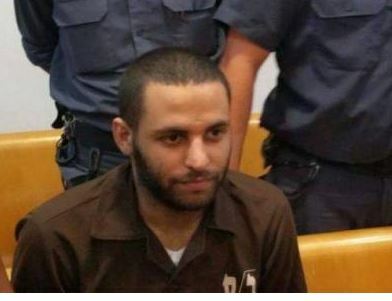 Israeli authorities transferred a hunger-striking Palestinian detainee from solitary confinement in the Ashkelon jail to the Negev jail, on Thursday morning. 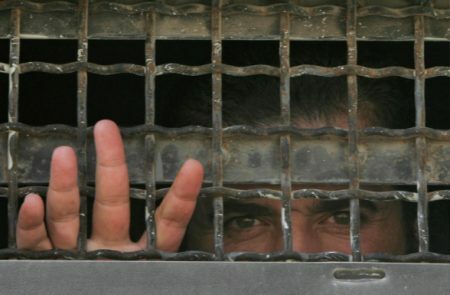 The Palestinian Committee of Prisoners’ Affairs said, in a statement, that the Israeli Prison Service (IPS) transferred Ibaa Omar al-Barghouthi, aged 40, a resident of the central occupied West Bank village of Kobar, in the Ramallah district. According to Ma’an News Agency, Al-Barghouthi has been on a hunger strike against the renewal of his administrative detention without charge or trial. He has been held in administrative detention since August 2nd, 2017. According to the committee, al-Barghouthi has stopped drinking water and refused taking vitamins. He is also boycotting Israeli prison clinics and is refusing to take medical tests. The committee added that al-Barghouthi’s health has deteriorated and his body has become scrawny, as he also suffers from severe exhaustion, muscle and bone pains, insomnia and severe bloody vomiting. Al-Barghouthi’s eyesight has also suffered, according to the committee.